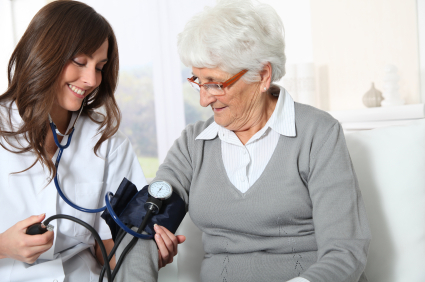 Private duty nurses offer their specialized services to patients of all ages for various timeframes so that they can restore their independence and live active, safe lives. The field of nursing can take nurses to a variety of locations such as clinics and hospitals. Some nurses are more portable, and they provide services in the homes of patients, assisted living facilities, and nursing homes. Private duty nurses have several goals that include preventing medical complications that could result in facility placement, providing medically necessary nursing care to patients in their homes, providing care for patients transitioning to in-home care, and assessing, providing, and monitoring professional care for patients by the hour. The options to receive an education to become a private duty nurse are very vast. One of the most common options is receiving a diploma in private duty nursing. Participating hospitals offer coursework that prepare graduates for the nursing profession. The next option is to receive an associates degree in nursing. More and more accredited community colleges are offering a quality education in nursing these days. Most nurses choose to earn a bachelors degree from a 4-year college or university with a nursing school program to become private duty nurses. Online educations are becoming one of the new ways to enter private duty nursing. The education option offers flexible scheduling, advanced and accelerated curriculums, and rigorous curriculums. The education route chosen to become a private duty nurse depends on the individuals and his or her personal needs. Private duty nurses must obtain credentials to become certified. It is necessary to pass the National Council Licensure Examination developed by the National Council of State Boards of Nursing so that they can become licensed LPNs and RNs. Private duty nurses can earn exceptional wages due to their flexibility and skills. Private duty nurses can earn annual nursing salary ranges of $30,977 and $85,701. The median annual salaries for private duty nurses are $69,347. The salaries depend on geographic locations, education level, certification, and type of employers. The salary structure for each state also determines the salaries for private duty nurses. Nurse practitioners can make substantially higher salaries with an advanced degree and experience. The best opportunities for private duty nurses are in New York, New York; Houston, Texas; Miami, Florida; Chicago, Illinois; Indianapolis, Indiana; Atlanta, Georgia; Dallas, Texas; Orlando, Florida; Phoenix, Arizona; and Charlotte, North Carolina. The field of nursing has a very promising outlook for nursing jobs. The demand is rapidly growing and expected to exceed a 20% increase in positions over the next 10 years. Certification and specialized nursing credentials can increase the marketability of nurses and increase their salary potential. The demand for private duty nurses is also increasing due to the expensive nature of daily care in hospitals and other medical facilities. Private duty nurses are less expensive so everyone can afford to hire them. Having private duty nurses in a patient’s home makes it easy for their loved ones to visit them as well. Hospitals provide care for patients for a certain amount of time before discharging patients to recover in their own homes. Private duty nurses offer a wonderful alternative to traditional medical care in medical facilities. Private duty nurses bring versatility to the nursing profession. These highly skilled individuals can offer quality medical care to patients in their homes and other medical facilities other than hospitals. They help patients to regain their good health and restore their health one day at a time.